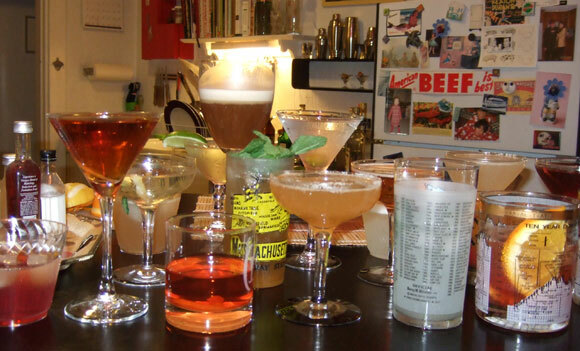 In this last installment of Nips for 2009, let’s consider some of the key developments of Boston’s year in drink. » Trina’s Starlite Lounge, Lord Hobo and Woodward. These three fine establishments opened in 2009 for our drinking pleasure. The ’50s-inspired Starlite has quickly become the kind of place that’s like a second living room for denizens of Cambridge and Somerville. It has two full bars to choose from, the vibe is genuinely welcoming and easygoing, the prices are recession-proof, and if you don’t run into someone you know there, then you probably know at least a couple of the bartenders by name. After months of wrestling with anti-bar curmudgeons from the neighborhood, and amidst much nose-wrinkling over its loony name, Lord Hobo finally opened in the space formerly known as the B-Side Lounge. With a beer list that keeps the likes of the Publick House and Deep Ellum on their toes, serious gastropub fare coming out of the kitchen, and a good-looking cocktail list (albeit one I haven’t tested enough to judge), Lord Hobo has already established itself as a place for serious bargoers. I’ve only sampled Woodward, in the Ames Hotel, once since previewing it a few months ago. But it’s clear that the place is making a serious attempt to be, for downtown Boston, a rare combo: an upscale tavern with top-notch food; a serious cocktail bar; and a magnet for nightlife. It appeared to be succeeding on all counts when I visited. More study needed. » Legal Sea Foods discovers real cocktails. One of the most successful restaurant chains to come out of Boston does the right thing by hiring Patrick Sullivan as a beverage czar. » Boston bartenders get noticed. Some of our best appeared locally on NECN and Chronicle, as well as nationally in the Wall Street Journal, New York Times and Bon Appetit. 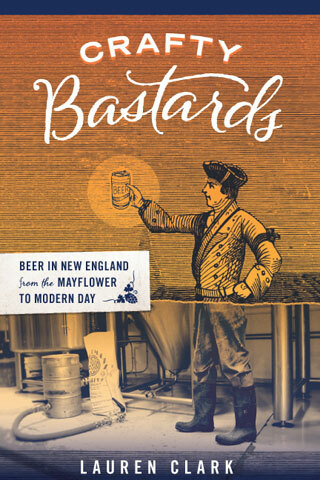 Plus, drinkboston appeared in two new books: Ted Haigh’s Vintage Spirits and Forgotten Cocktails and Lonely Planet’s Boston City Guide. » The annual Craft Brewers Conference. It convened in Boston this year, giving a boost to our bona fides as a beer town. » BarSmarts. Dozens of bar industry people around Boston and New England received top-notch training through this fast-growing program. » Some positive trends… Tiki. Real tiki drinks could be had regularly at Eastern Standard and Drink, the latter of which had tiki Sundays all summer long. Shared cocktails. The above two spots also raised the profile of punch, one of the most sure-fire ways to put a whole crowd in a good mood. Meanwhile, the Marliave serves FDR martinis by the pitcher. Genius. Bitters. Bitters became more available, and in more flavors than ever before. The Bitter Truth is just one example, and bars continue to have fun making their own. Mezcal. I’m talking about the artisanal stuff, which Del Maguey pretty much single-handedly put on the map around Boston and elsewhere. Look for DM’s brightly colored, folk art-inspired labels at a bar that’s serious about spirits, and order a measure. You won’t look back. » Last but not least, drinkboston got a stylin’ new design and taught its first class on the history of drinking in Boston. What’s up this blog’s sleeve for 2010? Let’s think about it over drinks.